We've all been fooled at one time or another. You thought you were buying organic but it turns out the product isn't 100% organic. Or you thought you were buying something non-toxic because it was labelled natural, but in reality, it contains some nasty ingredients. Greenwashing is something many large companies do, which is funny because they are the one's who it would be easier for, to bite the bullet, go green and get the proper certifications. On one hand, it's complex, expensive and time consuming for a company to become USDA Organic... on the other hand, can you trust them if they're not USDA Organic certified? Is a company hiding something by not labeling organic or is it a conscience choice? The truth is in the labeling, you just have to know how to read the label. First and foremost, it's important to read the ingredients list. There you will find out if the product contains any toxic ingredients. If it does, put it right back on that shelf. Better yet, tuck it into the back behind some other products so some other poor soul doesn't get duped. You can find a list of toxic cosmetic ingredients here from Living Pretty Naturally. She even notes alternatives which is awesome. Yes, it's hard to remember all these baddies, and it's not always convenient to carry around a list, but you can start to familiarize yourself with some of them and always use your phone to look up ingredients you're not sure of. If you can't pronounce it, it might be something bad, so check. Note the good ingredients! Are they plant-based? If yes, that's great! You want to make sure that they are either Certified Organic, Wild Crafted or Non-Gmo, Organic being the best. At Argan Republic, for the sake of label space, we note our ingredients with a * if they are clean, meaning they meet one of the three criteria mentioned above. On our website, we usually give more detail about each ingredient, including benefits. If the label doesn't note any ingredients as organic, it's safe to assume they are not. The word "Natural" is a huge grey area for consumers. It's sad because when truly natural cosmetics companies use the term, it looses it's impact. The USDA and FDA have no regulatory definition for the term "Natural". Since many foods and ingredients are processed from their natural state, it's hard to say where "natural" ends. The problem with no regulation means one product may be labeled natural even if it has only 1 truly natural ingredient in it. The phrases "natural color" or "natural flavoring" don't necessarily mean we are talking about vanilla beans, and even if we are, are they processed beyond recognition? Beware products that flash the word "Natural" across the front of the label, and if you aren't sure, check the ingredients. Cruelty-free means NO testing on animals. Vegan and Cruelty-free are two different things, I'll get to vegan in a moment. 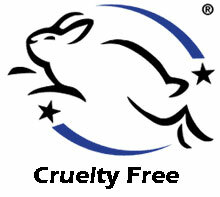 There are two main cruelty-free certifications, the Leaping Bunny Program and The PETA Beauty Without Bunnies Program. The Leaping Bunny program requires not only product manufacturers, but also the ingredient manufacturers to certify that they do not distribute any products that have been tested on animals. For example, I would have to get each and every one of my suppliers to sign the certification... something that I struggled with because some of those suppliers may be selling me a cruelty-free ingredient while also selling a non-cruelty-free ingredient to someone else, which means they refuse to sign. It's quite strict but I do understand why and I don't blame them whatsoever. The PETA Beauty without bunnies program requires a certification from the company that we use only cruelty-free ingredients and do not test on animals ourselves. We are proudly PETA certified Cruelty-free but are still working on the Leaping Bunny Program. Look for these logos on your products to ensure they are cruelty-free! Vegan means no animals products have been used. This means no dairy, meat, animal fat, secretion, oil, or honey. No part of any animal can be used at all. PETA has an option within their Beauty Without Bunnies program to also be certified as Vegan. At Argan Republic, we use honey bee ingredients so use a mix of both PETA logos indicating which products are cruelty-free and which are both cruelty-free and vegan. “100 percent organic”--Product must contain (excluding water and salt) only organically produced ingredients. Products may display the USDA Organic Seal and must display the certifying agent’s name and address. “Organic”--Product must contain at least 95 percent organically produced ingredients (excluding water and salt). Remaining product ingredients must consist of non-agricultural substances approved on the National List or non-organically produced agricultural products that are not commercially available in organic form, also on the National List. Products may display the USDA Organic Seal and must display the certifying agent’s name and address. “Made with organic ingredients”-- Products contain at least 70 percent organic ingredients and product label can list up to three of the organic ingredients or “food” groups on the principal display panel. For example, body lotion made with at least 70 percent organic ingredients (excluding water and salt) and only organic herbs may be labeled either “body lotion made with organic lavender, rosemary, and chamomile,” or “body lotion made with organic herbs.” Products may not display the USDA Organic Seal and must display the certifying agent’s name and address. So, you can see how it might be hard for a company to use any organic labeling at all. My personal philosophy is that I'd rather be 100% transparent about my ingredients than go through all the red tape and pay all the fees for organic labeling. I don't want to pass that hefty price tag on to my customer. Not only that, but there are a few amazing 100% natural ingredients which I use, that I can't get organic, but instead only wild crafted. Wild Crafted means to forage or harvest uncultivated plants from their natural habitat. It's hard to say if organic is better than wild crafted. Some say organic is better because you control how the plants are grown while wild crafted plants could be contaminated. Others say wild crafted is better because the plants haven't been babied; they've grown through wild conditions, had to fight weeds and fend off bugs which makes them stronger and more powerful. Just say no to GMO. At the bare minimum, you should be making sure your food and personal care products are non-gmo. Are you ready for this? It gets a tad complicated so stay with me. Genetically modified plants and seeds have had their DNA altered in some way, usually from DNA of another organism, virus, bacteria or animal. Yes, I said animal. Scary, right? Being non-gmo is important in cosmetics because many plant oils and derivatives are used as ingredients and we don't want anything GMO entering our body. There is also a group of crops referred to as "Roundup Ready" seeds. These seeds have been genetically modified to be resistant to the common herbicide, Roundup. Farmers who use these seeds must use Roundup to keep weeds out of their fields. Herbicides are toxic to humans and should not be use on our food or plants that become ingredients in skin care. The Roundup Ready seeds are also called terminator seeds because they are sterile, meaning they will not reproduce. GMO crops threaten to eradicate the original crop. Because the roundup ready seeds are sterile, farmers cannot collect seed for the next year, they are forced to buy new seed every year from GMO seed company, Monsanto(the same company that manufactured the herbicide Agent Orange, used in Vietnam). I know this is a lot of information. It takes time to become a fully educated green beauty but even taking one step in the right direction leads you to towards a healthier lifestyle. Keep an eye out for our upcoming article about the Ultimate List of Green Beauty Resources. I'll be telling you exactly where to go for the best and greenest tips on the web!